Disk Expert finds the biggest files and folders on your Mac. It scans your hard drive volumes and visually displays the disk space usage and makes a list of the most bulky content. 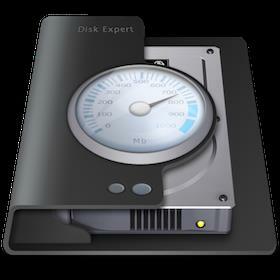 It allows you to locate unneeded files and folders quickly using (Mac OSX) system tools. You can look for a file using Finder tab and preview the file using QuickLook. Disk Expert finds the biggest files and folders on your Mac. It scans your hard drive volumes and visually displays the disk space usage and makes a list of the most bulky content. It allows you to locate unneeded files and folders quickly using (Mac OSX) system tools. You can look for a file using Finder tab and preview the file using QuickLook. Disk Expert also lets you gather files and folders into collection, enabling you to rapidly move them to another place, or even delete them.